The Size of your generator depends on your unique power needs; these needs have to be determined before ever purchasing an emergency generator. This worksheet is designed to help you determine the right size generator for your situation. Select the items you wish to power at the same time. 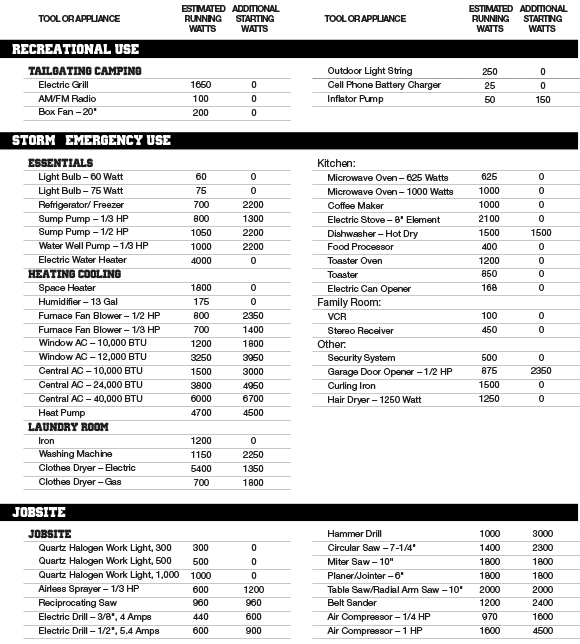 Using the table below, fill in the running watts and additional starting watt requirements on the “Your Power Needs” worksheet. Add the running watts of the items you wish to power. Enter this number in the Total running watts column. Select the one individual item with the highest number of starting watts. Take this one number, add it to your total running watts, and enter the total in the Total starting watts box. Once you have determined how many watts you will need, make sure to select a generator that runs slightly above your peak wattage. Continuously running a generator at peak wattage will quickly burn the generator out. You also need to keep in mind that bigger doesn’t always mean better. If you buy a 7500-watt generator and you only need something that can handle 2500 watts, you are going to be wasting a significant amount of fuel. This is something that you should factor into your decision since fuel will become more expensive and harder to find during times of crisis. How many watts does it take to power basic items in an average size house? To run the essential items found in the average American home, you will need somewhere around 5,000 – 7,500 watts of power. This will vary from home to home, but it’s a good estimate to start with. What is the difference between running watts and starting watts? When selecting an emergency generator system, you need to calculate both your running and your starting wattage requirements. Running, or rated watts are the continuous amount of watts needed to continually run your appliances. Starting wattage is the additional amount of electricity required to start commonly found motor-driven products like refrigerators or other household appliances. When selecting a generator you should always factor in the appliances with the highest additional starting watts. Generators are often advertised with the maximum wattage they can produce, this is not the number you should be looking at. If you continually operate your generator at this wattage, it will quickly burn out. Look for something called the “rated power” to determine if a generator will be able to adequately power your appliances continuously. Maximum power = the maximum output a generator can produce. Maximum power is usually available for up to 30 minutes. Rated power = the power a generator can produce for long periods of time. This is often 90% of the maximum power. Why is only one additional starting watt item used to calculate your total starting watt requirements? Unlike running watts, starting watts are only needed during the first couple seconds of operation. In most cases, only one item will start or cycle at the same time, therefore this is the most accurate estimate. What if I can’t determine the running or the starting watt requirement for a tool or appliance? Each appliance should have a sticker that tells you exactly how much continuous wattage is needed to power the device. If the running watts are not on the item, you may estimate them using the following equation: WATTS = VOLTS x AMPS. Only motor-driven items will require additional starting watts. The additional starting watts required may be estimated at 1 – 2x the running/rated watts. My appliance is an 800-watt model, but it takes 1500 watts to run it. Why? You really need to read your labels, because some devices can be deceptive. Just because an appliance is labeled as an 800-watt model, doesn’t mean it takes only 800 watts to run that appliance. For example, a microwave oven might be labeled as an 800 Watt oven, but it may require more wattage to power the device. A generator’s exhaust contains toxic carbon monoxide, which you cannot see or smell. NEVER operate your generator inside your home, and make sure to keep it far away from any doors and windows. Carbon monoxide fumes can KILL YOU IN MINUTES, please take all necessary precautions, and make sure you follow the directions in your owner’s manual. 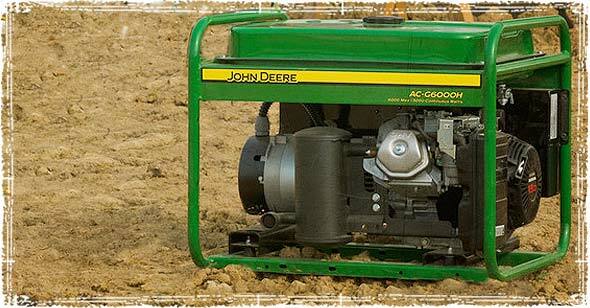 Make sure you start your generator when you first buy it, and then at least once every month thereafter. The last thing you want to find out during a grid down situation is that your fancy new generator doesn’t work. 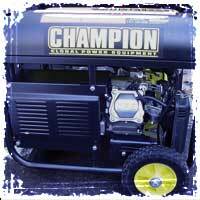 When operating your generator, make sure it is securely fastened to something that cannot be moved. These are a very popular item for thieves, and during a disaster they are often stolen from people’s land. Keep in mind generators are loud; so when you’re running one, it’s very likely people within your vicinity will hear it. Thanks for the downloadable worksheet I was looking for something like this. I got caught off guard last year when the storms hit and was without power for 2 weeks. Look up making a fridge out of a small chest freezer. A 26 cu. ft. behemoth of a fridge is a lot to run, and more than you need. I hear European fridges are about 1/2 the size of American fridges. Eat the food in the fridge first. A 7.5KW generator drinks a lot of fuel. Forget central heat. Americans are spoiled when it comes to energy. In an extended energy crisis, people will have to abandon most of their 2600 sq. ft. mcmansions during heating season. Ask anybody who grew up in USSR. A family CAN live in one room. When you really look at it, 99% of our energy usage is for convienience. Hahahaha….. 2600 is not a McMansion. Great post Rob, very informative and helpful. I really liked the downloadable worksheet. Keep up the great work. Generators are rated at 80% of maximum. Most likely, you’ll see what it’s rated first, then you can look at the specs and see what the maximum is. I don’t recommend going over the rated power capacity for long periods, but running close to rated will not burn up the engine. You may do more damage underloading it (depending on fuel type). Have a look at specs. Generator is rated @ 8kW, but peak is 10kW. Also, do not forget the importance of ventilation… Excessive heat will destroy the unit. I’m a USAF veteran, 14 years, Electrical Power Production. If you have questions, I’ll help as best I can. I would be using it in a 1600 s/ft size cabin. Honda engines are pretty reliable. If it’s gasoline, make sure to keep spare spark plugs around. If you’re not using it but maybe once a year, add some sta-bil to the fuel storage. As for size, it depends on what electrical load you’ll be using in the cabin. Use the sheet Rob posted, but I’d imagine somewhere between 3kW and 5kW. Also, I prefer pull-starts. If there’s an electrical starting system, it just seems there’s one more thing that can fail right when you need it. Just my opinion on small generators. Tell me what is wrong with generac mine has a Honda motor on it???? The biggest concern for me is my grandmother who is on Oxygen 24/7 and I’d like to at least power the living room and the fridge at the bare minimum since her oxygen machine is in the living room along with a tv we can use to get information. We got a bunch of big O2 bottles for when the power goes out but I’m always concerned about it cause she’s the last bit of family I got so I tend to worry alot about her. Get a battery TV, outdoor antenna, and extra batteries (lead acid). The switch to digital has largely negated the need for large antennas, unless you live in a remote area. If you have a HOA that forbids antennae, Google the Telecommunications act of 1996. The TCA basically forbids restrictions on antenna for video reception, even at the state level. I think it’s section 207, commonly known as the OTARD rule (Over The Air Reception Devices), and it covers TV antenna up to 12′ above the roofline. Most oxygen concentrators (providing up to 7lpm) are rated between 290 and 350 watts. a 45.00 dollar inverter and a single deep cycle batter should give you many hours of use. Do these generators need to be connected to a grounding rod? What do you do when raining or snowing to prevent the generator from getting wet? Has anyone thought about a gasification system to run your generator? My husband is making one now just wondered if anyone else is doing this is there a down side to this? I began thirty years ago making gasifiers. I have experience fueling a wide range of engine sizes from 1/2 liter to 6 liter displacement. Today, I offer a kit sized for your 10kW generator set. This system uses seasoned firewood, cut in one-inch chunks. It is impossible to run a farm milking a heard of cows on a few solar-cells. To the person saying Generac is garbage… YOU’RE RIGHT! What they don’t tell you is that it is NOT for primary power use. Anything after 500 hours of operation is NOT covered under warranty and they tend to stop working by then. We sell non-fuel generator kits. I’m preparing for coming winter. This info is fantastically helpful, thank you. Can you run off of electricity and generator at the same time So there is no lapse in electricity? Another very important factor to consider is the noise generated by the generator. I got rid of an old inexpensive 5KW generator because it was so loud. That noise could attract attention from people that might want to “borrow” my generator and gasoline. I replaced it with a Honda 3KW pure sine wave generator that is so quiet I had to laugh when I first heard it running. Not only is it quiet but it generates a pure sine wave instead of a modified sine wave. This means it will run anything – even sensitive laser printers, battery chargers, and electronic testing equipment. It also uses less fuel than my old generator. As an added bonus, there are several companies that make dual fuel and tri-fuel adapters for it so you can also adapt it to run off propane or natural gas. Unlike gasoline, propane has an indefinite storage life, and it will run many other off grid appliances such as stoves and refrigerators. Yamaha and other companies make similar generators and if you are in the market for a generator I would recommend spending the extra money for one of these units. You won’t regret it. We are going camping in three weeks and my husband wants to get a generator for our RV so that we have light. It was awesome to know that you also need to keep in mind that bigger doesn’t always mean better. We will be certain to get a generator that will be able to light up our RV for the weekend we are camping! Robert, thanks for your comment about how the power of your generator can really depend on the size of it. I like how you said that the wattage can differ on emergency machines like this as well. My husband and I want to be prepared in case of an emergency, so we are looking into powerful generators that we can have in our home and use in the event of an emergency. I really like that you suggest knowing the maximum power of the generator that you choose. Having the right generator seems like it would be very important. Hopefully, anyone needing to rent one does their research and finds the best company in the area.